God did not give us His gospel just so we could embrace it and be converted. He offers it to us every day as a gift that keeps on giving us everything we need for life and godliness. Here is a valuable tool to preach the gospel to yourself daily to strengthen your faith and define what you believe and why. 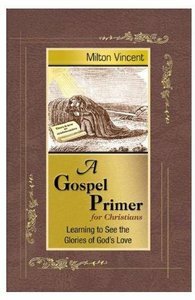 About "A Gospel Primer For Christians"
Expected to ship within 2 hours from Australia.